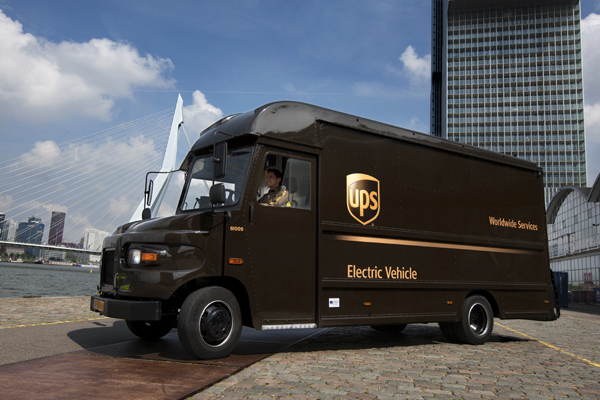 A UPS-led consortium has deployed a radical new charging technology in London, UK, that overcomes the challenge of simultaneously recharging an entire fleet of electric vehicles (EVs) without the need for the expensive upgrade to the power supply grid. UPS is a global leader in logistics offering a broad range of solutions including transporting packages and freight, facilitating international trade, and deploying advanced technology to more efficiently manage its business. The breakthrough signals the beginning of the end of a reliance upon traditional combustion engine powered vehicles by allowing UPS to increase the number of EVs operating from its central London site from the current limit of 65 to all 170 trucks based there, said a statement. This major advance – believed to be the first time these systems have been deployed at this scale anywhere in the world – is the result of the ‘Smart Electric Urban Logistics (SEUL)’ project with UK Power Networks and Cross River Partnership, with funding secured from the UK’s Office for Low Emission Vehicles, it said. “Electric vehicles are an integral component within our alternative fuel and advanced technology fleet. Our collaboration with UK Power Networks and Cross River Partnership marks a major turning point in the cost effective deployment of electric vehicles which in turn will play a key role in ensuring the global trend toward urbanisation is sustainable,” he said. “We are applying new technology to make the charging process smarter and our delivery service cleaner,” he added. “This breakthrough has worldwide multi-sector implications and is an important step in addressing the challenges associated with the cost of deploying and charging an electric fleet,” he added. “It’s also a demonstration of our shared values with Expo 2020 Dubai on sustainability. Technology is a means to driving sustainability. Expo 2020 Dubai is committed to building a legacy that is sustainable and long lasting, extending its impact and benefits beyond the UAE to the wider region and the rest of the world long after 2020. By the time Expo 2020 Dubai is up and running, one in four new vehicles we purchase will be an alternative fuel or advanced technology vehicle. You know the saying – what gets measured gets done,” he concluded. “We are delighted to work with UPS and our other partners to design, deliver and operate this sustainable smart-grid solution. This project will deliver a huge impact on improving the air quality for Londoners and contribute to UPS’s legacy of sustainability,” he added.